One of the Network Maps [Central, France, Austria & the USA] is our most usual request for Custom Art. Due to their flexibility, you can add "stations" between existing stops, add taglines, create new lines - it's all up to your imagination. We also customise and create bespoke artworks for Ski Chalets and Business - click here for more information. Custom Maps we've produced included "stations" that have mainly been names of apartments, chalets, homes, hütte, bars, hotels and people. Occasionally, it's something else: the place where someone came a cropper on the slope - Louise’s Wipeout - or where a friend found a great place to stop for a cup of tea - Phil’s Pit Stop. The choices are endless, but with such a stunning piece of artwork, it is sure to be admired for hundreds of years to come. In the end, you have an artwork that is personal, reflects a lifestyle, and which can bring back happy, wintry memories. 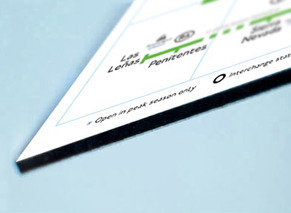 Industry-wise, as an example, UK ski holiday company Inghams wiped the network map completely to market over 90 of their own ski resorts. Anything is possible! 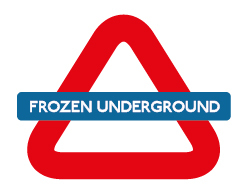 "After many hints, my boyfriend bought me a Frozen Underground for my birthday in February. It was personalised with St Jean d'Aulps and 'Always Number One' - my company name. And I LOVE it! In fact, it's pride of place above my desk and all our friends who visit think it's amazing." We can create anything on your map. The above prices will cover most things, but more detailed work may result in extra costs - quotes provided upon application. For all aspects of Custom Maps, including different materials, sizes and pricing, please fill in the form below, or just send us an email and we'll go from there. Industry enquiries please contact us here. 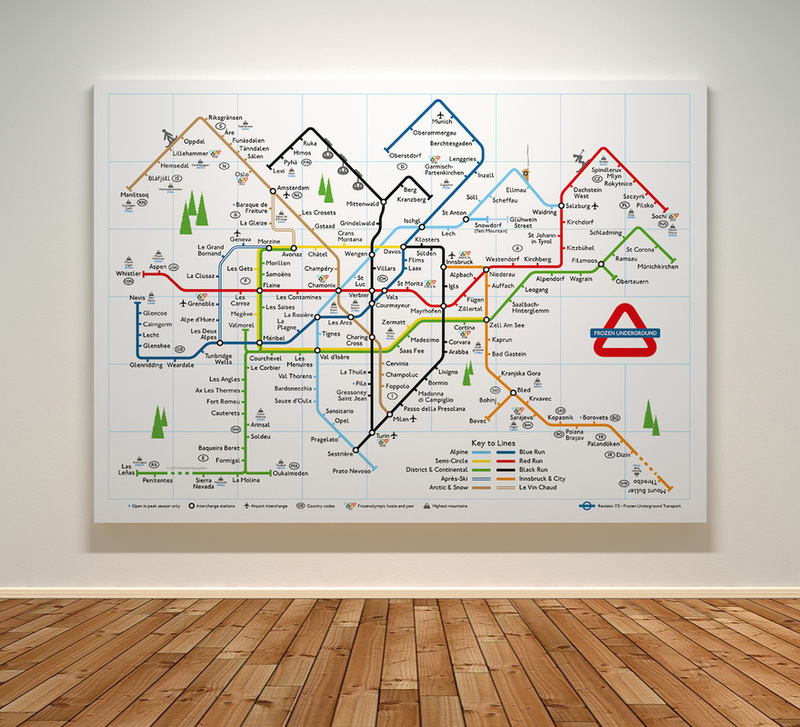 Enter here your "station" names, tag lines, etc on the Network Maps, or options for other Artworks. We will reply to your requests as soon as we can. Thank you. It would be great to know what brought you here. 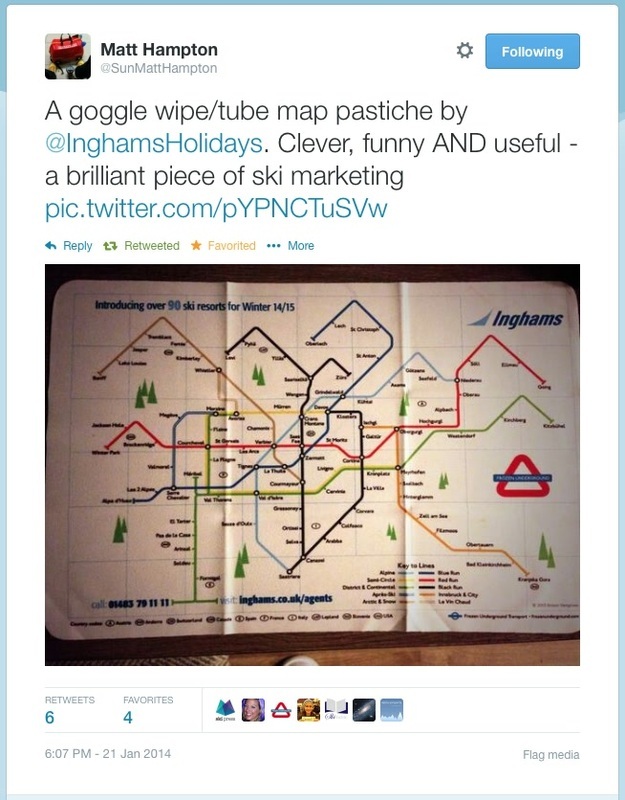 In November 2013, we were asked to produce a special Inghams edition of the Frozen Underground printed on goggle wipes for marketing their Winter 14/15 ski resorts. This tweet (above) is from Matt Hampton, Deputy Travel Editor of The Sun newspaper. Your artwork is printed directly onto the metal, primed with a platinum white enamel. It is extremely robust - with waterproof and sunlight-fadeproof features - so can be displayed both indoor (including the bathroom) and sheltered outdoor areas. With a matte surface, all images have a classic, flawless appearance.